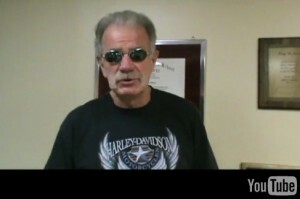 No, it's not the dad from American Chopper. I thought that too. The Home Office said Mr Jones could not enter the UK as the government “opposes extremism in all its forms”. Mr Jones told BBC Radio 5 live he would challenge the “unfair” decision and his visit could have been “beneficial”. Mr Jones – who is pastor of the Dove World Outreach Center in Gainesville, Florida, which has fewer than 50 members – came to prominence last September when he announced plans for his “International Burn a Koran Day” on the anniversary of the 9/11 attacks. A Home Office spokesman said: “Numerous comments made by Pastor Jones are evidence of his unacceptable behaviour. “Coming to the UK is a privilege not a right and we are not willing to allow entry to those whose presence is not conducive to the public good. You know what? They have a point. The kind of rhetoric Jones seems comfortable spewing ISN’T conducive to the public good. Encouraging people to disrespect one form of nonsense while trying to sell another, equally aggressive and potentially dangerous form of nonsense doesn’t help anyone. This whole situation is akin to a Boba Fett groupie rallying against IG-88 fans because in the Fettites opinion, IG-88 isn’t a true bounty hunter. Except with Star Wars, everyone recognizes that the topic is based in fiction so no one (except maybe that one guy) takes it too seriously. This isn’t the first time Jone’s has been invited to Britain and the first time it happened, they had considered banning him from entering the country but never had to make that decision. Why? In December, Home Secretary Theresa May said she was “actively looking at” whether Mr Jones should be banned from entering the UK after the right-wing English Defence League (EDL) had invited him to share his views on Islam at a rally in Luton in February. However the EDL later withdrew the invitation to Mr Jones. A spokesman said it was because of his critical views on homosexuality and race. I Didn't Even Know Mexico HAD A Grand Warlock!